The Governor General’s Performing Arts Awards (GGPAA) are proud to feature a unique Mentorship Program that provides a way for past GGPAA recipients to inspire the next generation by offering guidance to talented Canadian artists in mid-career. The program serves as a creative catalyst and an investment in future Canadian artistic achievement. 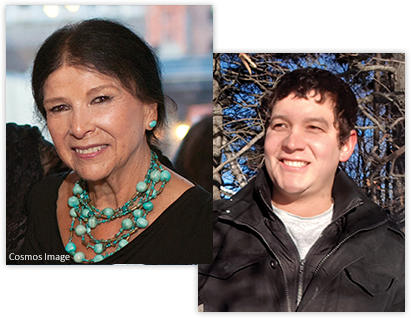 Each year, a past laureate of the Lifetime Artistic Achievement Award is invited to act as the program’s mentor. In consultation with the National Arts Centre’s artistic leadership, the mentor selects an artist from the same performing arts discipline whom he or she would like to have as a protégé. Each year’s Mentorship Program is as unique as the artists themselves, but the aim is the same: both mentor and protégé enjoy a unique opportunity to share, learn and grow from each other’s experience and insights. In addition to receiving artistic guidance and an honorarium, each protégé is invited to participate in the GGPAA celebrations. The GGPAA Mentorship Program was inaugurated in 2008 as a partnership between the GGPAA Foundation and Canada’s National Arts Centre, and is generously supported by founding partner The Keg Spirit Foundation. The foundation recognizes organizations that mirror the mentorship that The Keg Steakhouse + Bar has provided to tens of thousands of young people for over 40 years. 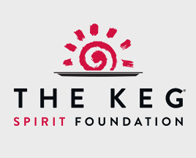 Established in 2001, The Keg Spirit Foundation has raised over $8 million for more than 300 charities across North America. Partner for 2013 and 2014 Canada’s leading institution for advanced training in the performing, visual and literary arts, film, television, and digital media. Our 2012 partner, a charitable organization that accelerates the careers of Canada’s brightest talent in film, television, screen acting, music, and digital media.